‘Hark! The Headland Approacheth’ out NOW! That’s right you mirthy rascals, the album we’ve been working on for the last four years finally gets unleashed upon the oceans. We’re extremely chuffed with it and hope you enjoy hearing it as much as we’ve enjoyed making it. It’s released 8th July globally on I’m Not From London Records. That means now! So you can order the beast on the following platforms. Click the links! Massive respect to Stuart Faulkner for his arty skills! So as you may know, the new album is nigh… well now you can count down the days of nigh-ness! This be the first chance to grab hold of a copy of ‘Hark! The Headland Approacheth’ on I’m Not From London records. We’re dripping with excitement about this, and our first mates will be 94 Gunships and Stuart Faulkner: painter plonker and his techno ceilidh… Get on board! Check out the marvellous artwork by Stuart Faulkner! UK! Throughout April & May we’ll be traversing across home shores, travelling south, west, east, middle, north, and, er, Wales! We’ll surely be flogging the EP and playing tunes from the new album plus some choice Mirth classics. Come and sea us this spring! 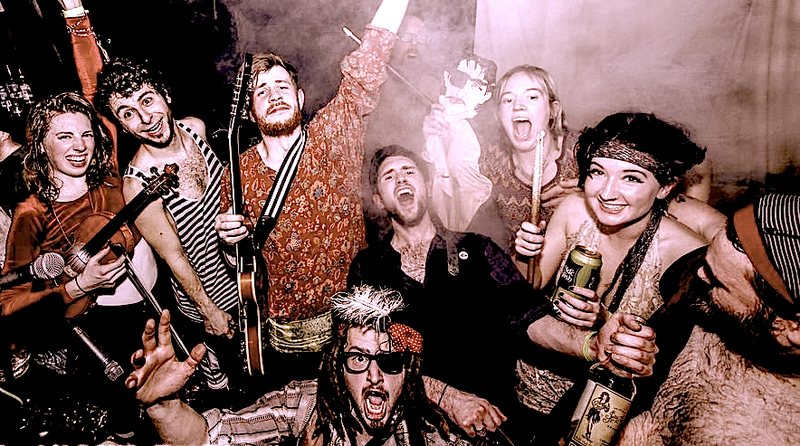 So far we’ve nearly mixed the album… nearly got the artwork finished… got the bilges emptied and ready to set sail on some silly adventures once again! See Gigs of Mirth for dates as they get confirmed… Meanwhile, if you’ve not seen this, where you been, man??? XMAS DEALS and BARGAIN BANGERS! We’re having a Seas Of Merch clearout, and have chucked a megabundle of goodies in the mix. Get yer mitts on a T shirt (sorry no large left), Esmerelda EP CD & 1st album download, plus a sticker & badge* for just over a tenner. Get ’em while they last. Avast! *very few badges and stickers remain. First come first serve! That’s right salty scallywags! 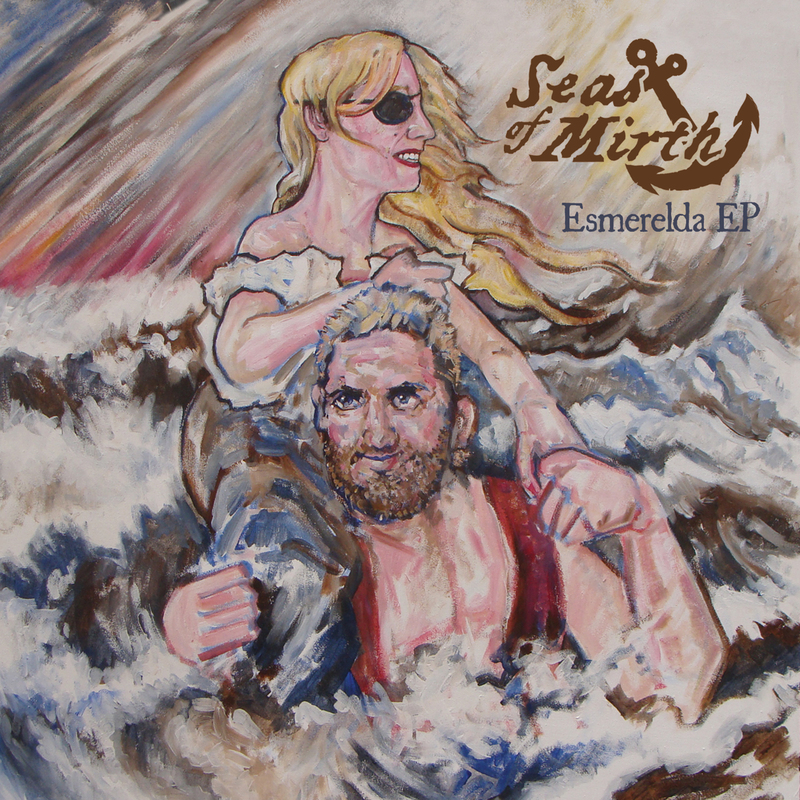 The Esmerelda EP is out now on I’m Not From London Records. Salutations to Troy & Joe from Rabbitfly Films, and the good folk at Riverside Bar in Beeston. 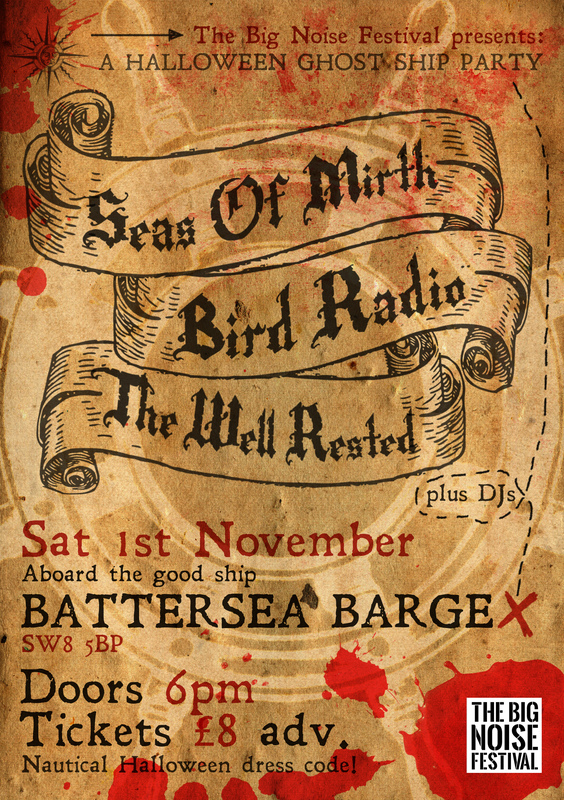 SAT 1 NOV – LONDON Battersea Barge – Halloween Ghost Ship Party with special guests Bird Radio & The Well Rested. Tickets nearly selling out so get yours ‘ere – goo.gl/1Lsl0e (mini link). The Big Noise are puttin this on so expect a banger and get mashed! FRI 19 DEC – DERBY Ryans Bar – with guests tbc – free entry!